Data today has become so fragmented across different locations, infrastructure silos, and management systems that it’s nearly impossible for enterprises to protect, locate, and use data to create more business value. Enterprises are faced with mass data fragmentation presented by inefficient, siloed data center and cloud solutions, increasing IT complexity, costs, and compliance risk. To help enterprises better face this critical challenge, Cisco and Cohesity together are bringing the simplicity of complete hyperconvergence for your primary and secondary data and apps respectively. 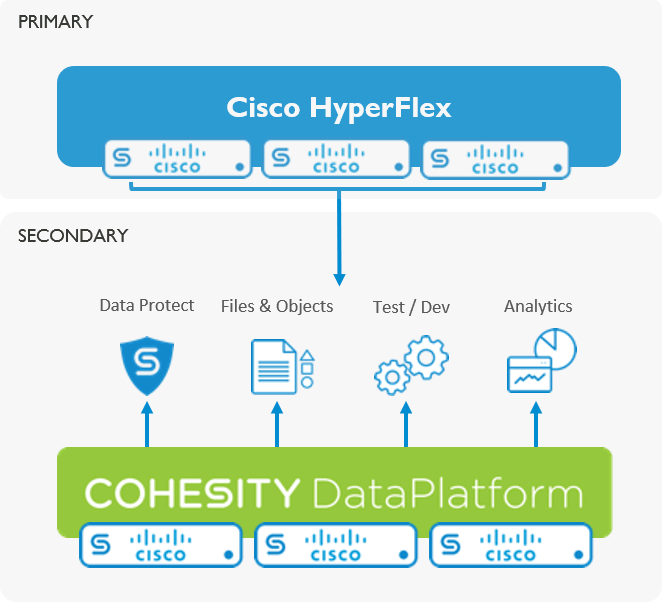 Highlights the unique hyperconverged design of the Cohesity DataPlatform for secondary data and apps alongside Cisco HyperFlex for primary data and apps. Supplies configuration settings and installation instructions for configuring a Cohesity cluster running on Cisco Unified Computing System (UCS)-managed C240 M5 large form factor servers. Emphasizes the new integration features with Cisco HyperFlex, leveraging the HyperFlex Sentinel Snapshot API for native snapshot-based backups. Provides instructions and examples for configuring virtual machine (VM) Protection Jobs and Recovery Jobs. Gives guidance for configuration of multiple Cohesity clusters, and performing backup replication and archiving between them. The Cisco HyperFlex platform enables multi-cloud IT with an adaptive primary data platform that powers any application anywhere with the simplicity of hyperconverged infrastructure. Cohesity offers the industry’s only secondary data and apps solution built on a hyperconverged, web-scale platform for multi-cloud/hybrid IT. Together, these platforms offer a powerful new Hyper2 ™ architecture for data center and cloud to consolidate inefficient data silos and help enterprises put their data to work. Hyperconverged Simplicity – Easily consolidate all of your primary and secondary data to simplify your data architecture with Cisco HyperFlex and Cohesity DataPlatform on Cisco UCS, respectively. Streamline IT operations for all workloads with unified system and data management. Adapt to changing workloads and requirements on demand with pay-as-you-go, scale out resources for backups, archives, file shares, object storage, test/dev systems, and analytics datasets all on a single platform. Multi-Cloud Agility – Move your data and apps seamlessly to — and access them from — edge, core, and cloud without bolt-on gateways for frictionless mobility. Easily unify, protect, access, and control your data everywhere at a significant cost savings compared to traditional alternatives. Global Efficiency and Visibility – Reduce data copies using industry-leading global deduplication across workloads. Meet business SLAs with RPOs in minutes and near-instant RTOs. Gain global visibility for fast, easy file location and recovery, and quickly identify potential compliance violations for secondary data and apps on-premises and across clouds. To better drive productivity for IT teams, Cisco and Cohesity continue to invest in our Hyper2 ™ solution, driving tighter integration between primary and secondary data platforms. Native snapshot integration with Cisco HyperFlex is an advance from VMware-based snapshots. By being able to take them natively from Cisco HyperFlex, administrators can implement snapshots with reduced stun times and achieve improved backup and recovery performance for agentless application-aware data protection. Certification on Cisco UCS means that all primary and secondary data can implement consistent management across Cisco UCS domains. Web scale is all about being able to start with the resources you need and add as your requirements grow. Finally, the Cisco Validated Design offers guidance from experts for faster, more reliable, and fully predictable deployments for data protection and file services. We will be at Cisco Live in Barcelona January 28 – February 1, 2019 and participating in show activities and meeting customers like you about solving your data protection challenges. 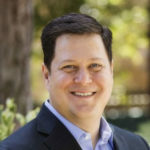 Joe Barnes (Head of Global Field Alliances and Service Providers, Cohesity) will speak about disruptions in the data center at session, “Cisco Investments: Insights from One of the World’s Most Active Corporate VCs” (January 31 at 11:00 AM – 12:00 PM). Consolidate data and apps across hybrid cloud with Cisco and Cohesity (January 30 at 1:10-1:30 PM). Cisco and Cohesity simplify multi-cloud data and apps architecture (January 31 at 10:30 – 11:00 AM). Cisco and Cohesity partner to address mass data fragmentation (Jan 29 at 11:30-11:45 AM, Jan 30 at 5:30-5:45 PM, and Jan 31 at 11:00-11:15 AM). Watch Cohesity founder and CEO Mohit Aron discuss the Cisco and Cohesity partnership. See Rob Salvagno VP, M&A and Investments at Cisco, discuss Cohesity and the Future of Innovation at Cisco Live 2018.